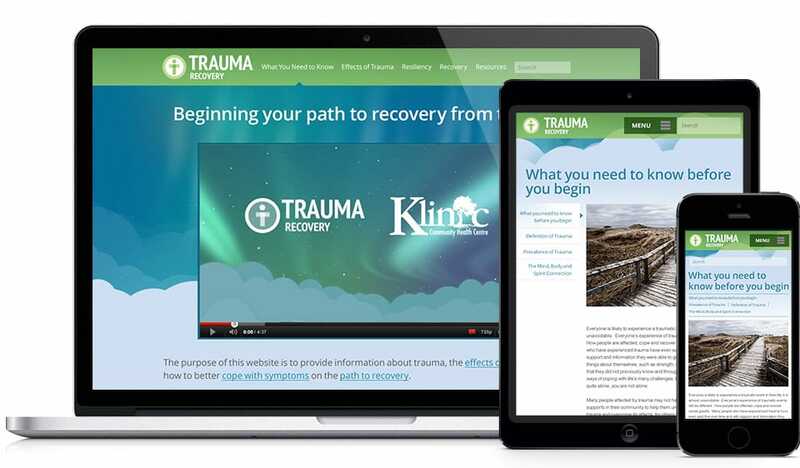 The Klinic Community Health Centre asked Tactica to help create a website that provides an understanding of what trauma is, how it affects people, and to present some ways of dealing with the symptoms of trauma. Tactica created a website that provided an understanding of trauma, how it affects people’s minds, bodies, spirit and relationships. Through the use of video, text and an interactive guided path to information, the site presents ways of dealing with the symptoms of trauma. The website acts as an impactful and accessible, personal and community health resource for people dealing with the issue of trauma. Klinic Community Health Centre is located in Winnipeg, Manitoba, Canada. As a member of the Manitoba Association of Community Health, they provide a full range of health related services from medical care to counselling to education.